Christmas & Boxing day have come to pass, but the festivities continue! London is a buzz with festivals, markets, ice rinks and merry making. There are events happening up and down the Thames this time of year and this is a short guide to what’s on to help to make the season bright! The festive season lives on even after the NYE fireworks! For the first time this year, Kew Gardens are opening their doors after dark, showcasing a magical Illuminated Trail though an enchanting winter garden landscape. Explore the mile long walk that winds through the grounds, casting light into hidden places off the beaten track. Linger by the lake, meander though the Mediterranean Garden and wonder into the iconic Palm House drenched in colour. The Kew Boutique Christmas market, a unique collaboration with taste-makers We Make London and local designers and craft makers, is filled with an assortment of irresistible gifts and tempting treats! Nearest Tube station: Kew Gardens- District Line then a short walk. Entrance to Kew Gardens £12.50 (adults) £8 5-16 years. Family ticket £38. Under 5’s free. 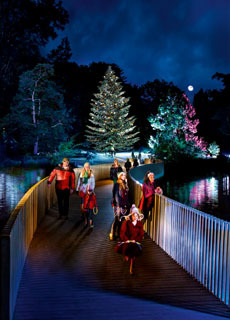 Visit www.kew/org/christmas for additional details. London features many ice rinks, but only one is located in a medieval moat a stone throw way from the river. 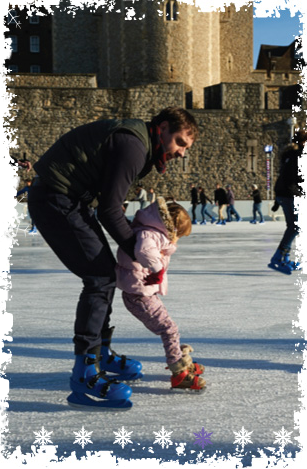 The Tower of London’s ice rink is set within the fortress battlements and is a great night out with the kids or colleagues. The walls are beautifully illuminated after dark and boast views of the Southbank and More London as you make your way around the ice. Beside the rink, the Ice Bar & Café provides a welcome place to warm up after your skate, serving a selection of winter drinks and festive snacks. It is open every day from 10am to 10pm. Wish you a happy and safe end of 2013 and a joyous start to 2014! 30 Dec	This entry was published on 30/12/2013 at 4:16 pm. 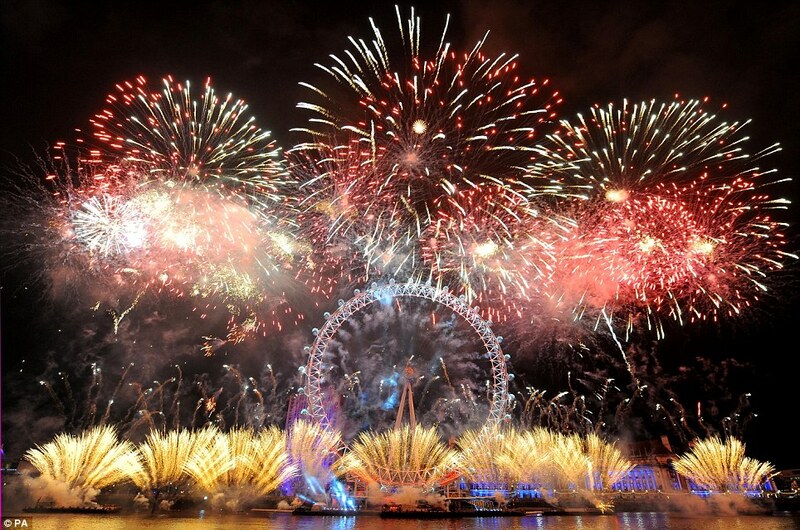 It’s filed under Event, River Thames, River Thames Special Events and tagged festive season, fireworks, ice rink, Kew Gardens, New years eve, NYE, River Thames, tower of london. Bookmark the permalink. Follow any comments here with the RSS feed for this post.